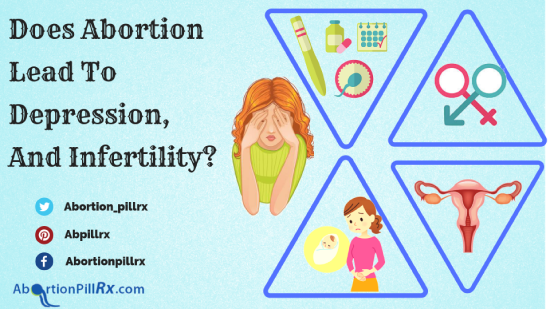 Does abortion lead to depression and infertility? When women buy abortion pills, they are typically offered medicines such as Mifepristone and Misoprostol drug combination. There are many In a survey conducted recently, it was found that 91% of women who aborted their pregnancy did not feel happy but relieved to get out of an unplanned and unwanted pregnancy situation. Abortion is seldom emotionally painful for women, however, such women do not regret their decision. 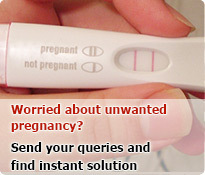 There are some side effects of pregnancy termination tablets such as diarrhea, vomiting, migraine etc. However, all these side effects are temporary in nature. As soon as you complete the procedure, the side effects go on their own. In certain cases where the impact of side effects is severe. Women must note that such cases can also be treated and none of the side effects of prolonged impact on women healthcare. Hence, abortion pills do not even have any impact on the future pregnancies of the women. Medical abortion does not impact on the fertility of the user. If you have bought abortion pills online, consult their physicians online or read blogs talking about fertility. You’ll know that you remain as fertile as you’re even after the abortion. That’s one of the reasons why women are advised to use contraception even after the abortion to avoid any further unwanted pregnancy situation. One must also know that women resume their menstrual periods within 2-3 months after an abortion. There’s no direct relation between abortion and depression. Contrarily, it has been found that women who end up in an unwanted pregnancy situation are more likely to face depression problems. Medical abortion is something that helps them come out of depression and they give them immense relief. Pregnancy changes the whole life of a woman. If it is an unwanted pregnancy, it can create hurdles on her path, whichever it may be. When women are aborting their pregnancy, it’s not often the baby that makes them abort the pregnancy but the timing. If the timing goes wrong, the life calculations get disrupted and so do their aspirations. In an environment where they are not prepared for a baby, it may bring burden to their shoulders which should never be a case when parenting. Instead, the couple waits for the right time to start their family and groom their child and try for the best parenting possible. There are cases cannot be denied when women feel depressed due to their abortion, that said, the abortion decision is generally taken in the interest of the woman’s health. Share your experience with your partner. Do not hold emotions to yourself. Pamper yourself with something that you love the most. Speaking of fertility, though there’s isn’t any impact of abortion pills on woman’s fertility, speak to your physician to be reassured. Be it depression or fertility, medical abortion is one of the safest options to deal with an unwanted pregnancy and perform a medical abortion. This entry was posted in Abortion Pills, Women's Health and tagged Abortion pills online, Buy Abortion Pills(MTP Kit), Medical Abortion on September 26, 2018 by admin.